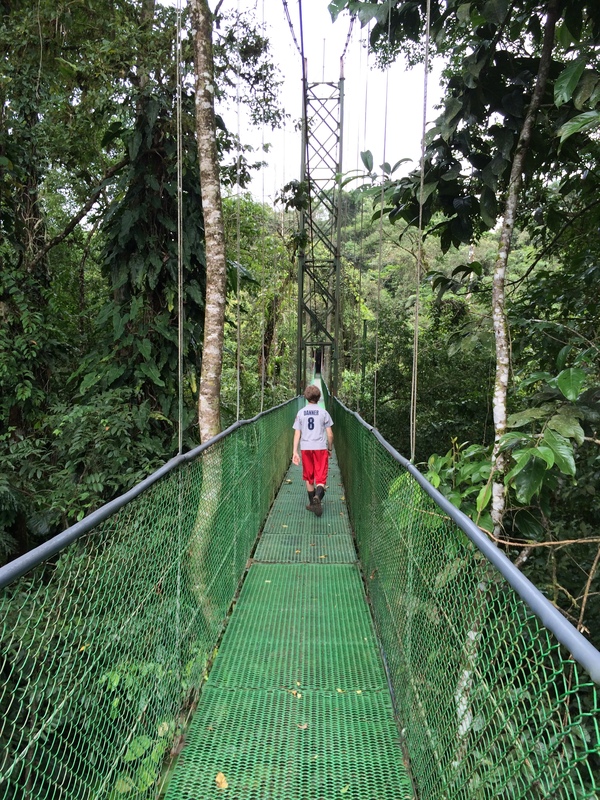 When in Costa Rica, one must Eco Adventure. In fact, I am pretty sure they don’t let you leave the country until you have partaken in some Eco activity. Luckily, there is something for everyone where that is concerned: from hikes through the rainforest, canopy hikes over suspended bridges or tram rainforest tours , to activities of varying extremes like white water rafting, zip lining, ATV riding, kayaking, horseback riding, surfing, plus you can pretty much rappel and jump off of anything – waterfalls, canyon walls, the Marriott Hotel (not really, but Teen considered the possibility). And the list goes on! 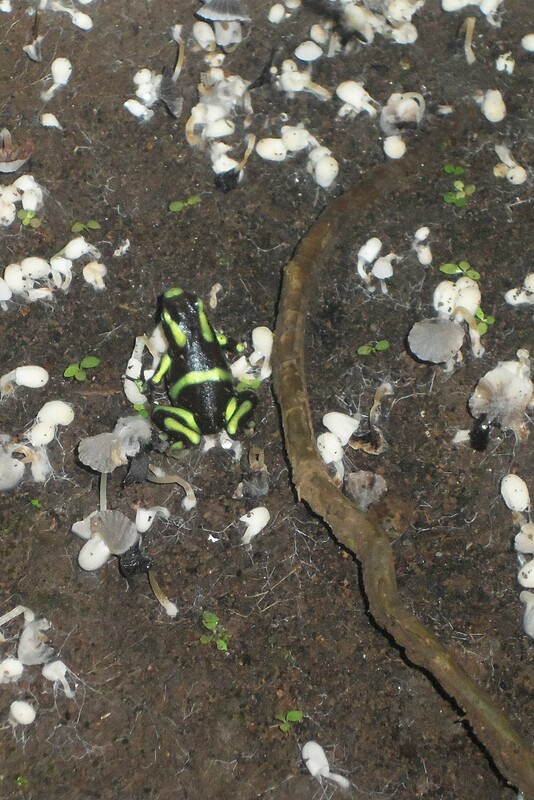 There are two good things about the Eco Adventures in Costa Rica. 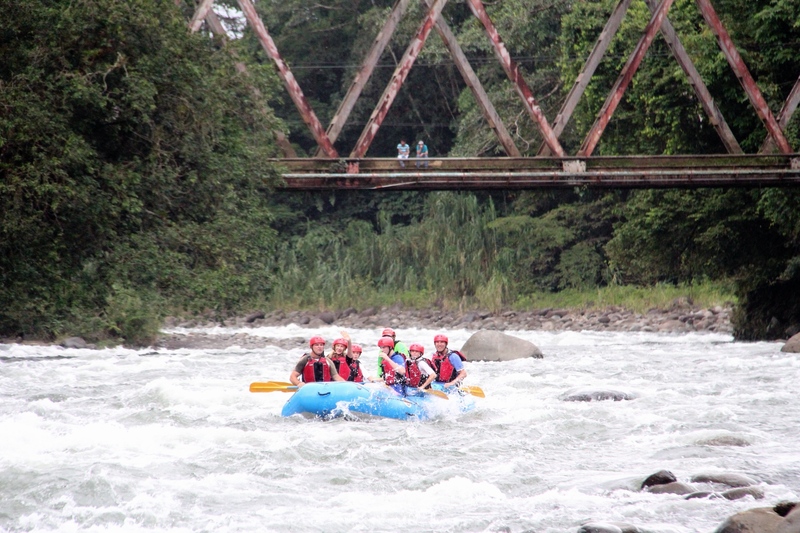 First, almost all of the activities are offered in every region and, second, the Costa Ricans, across the board, are vastly adept at making the experiences safe, fun, and exhilarating! Although we could not work in every activity we wanted to do, we did manage to come away with some amazing adventures. In fact, every tour we went on was a memorable experience. 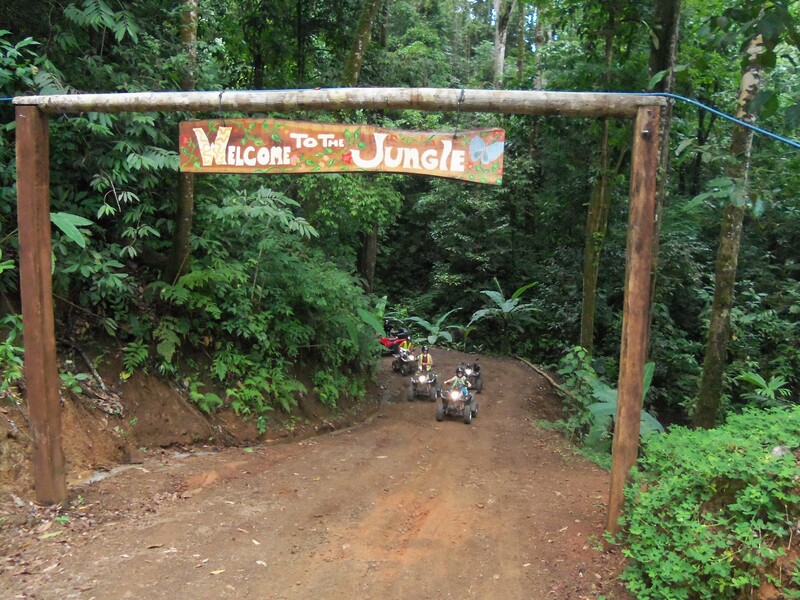 Our ATV Tour in Jaco, Costa Rica started out to be a 2 hour ride through muddy river beds, rainforest trails, rivers and in the mountains above Jaco with beautiful vistas of the Pacific Coastline. However, at the end of our scheduled 2 hours, we were just not ready to be finished! So we kidnapped our guide and demanded he take us to a waterfall, kindly asked our guide, Luis, to take us for a few more hours, to a waterfall (‘cause in Costa Rica there is apparently a never ending supply of waterfalls to go to and swim in). He agreed, and off we went! Let’s see, white water rafting, through a rainforest river, with Toucan and Howler Monkey’s looking on – not much to dislike here (except, I am pretty sure those Howler Monkeys were laughing at us because despite the many promises throughout our time in Costa Rica of seeing monkeys, the glimpse of them in the trees as we tried to not get flipped out of the boat was the only siting we would ever have!). Add to it, the midway stop with fresh pineapple, machete’d on an overturned boat on the shore (Note: Costa Ricans love their machetes, available for purchase in the local grocery store), 15 foot high ledge to jump off of, and a swim in the Sarapiqui River and you have the makings of a pretty perfect experience. 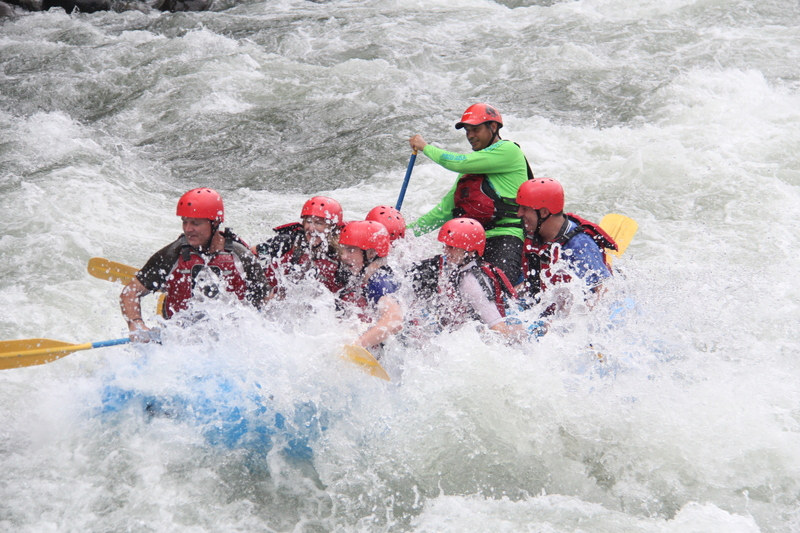 The rapids were just extreme enough to be fun and not terrifying – 3’s and 2’s (although the rest of my family was ready to take on some 4’s by the end!). 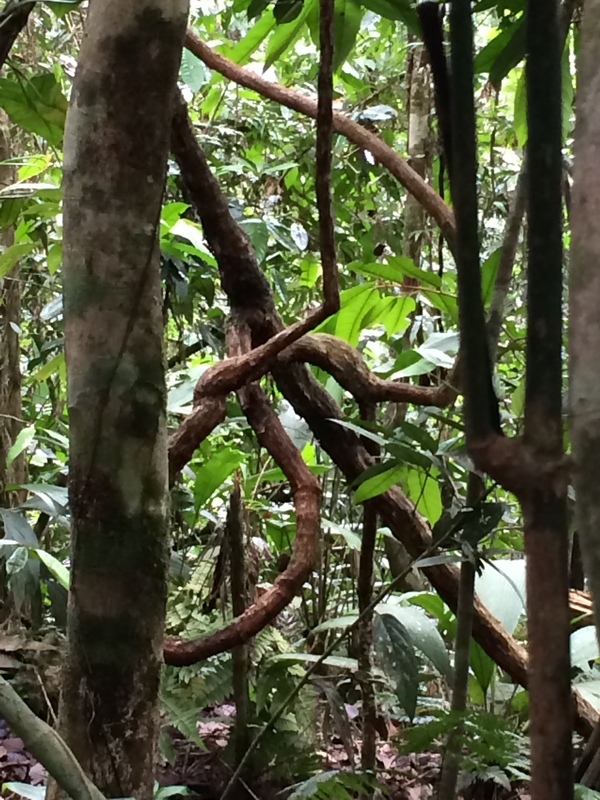 The beauty of the river winding through the lush rainforest is not an experience I will soon forget, if ever! Luckily, since the truth is, I don’t have any pictures that really do justice to the beauty of the surroundings. You will just have to take my word for it! 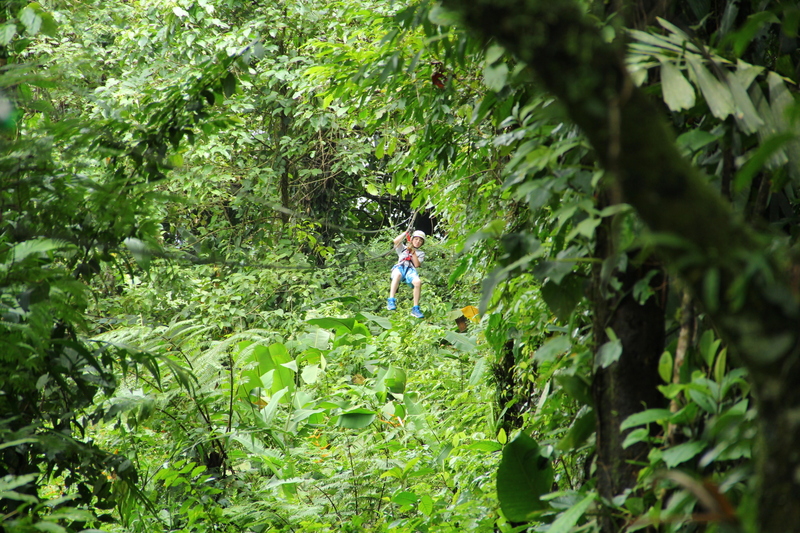 Zip Lines are everywhere in Costa Rica – you would think they, like, originated the idea or something (which, of course, they did). 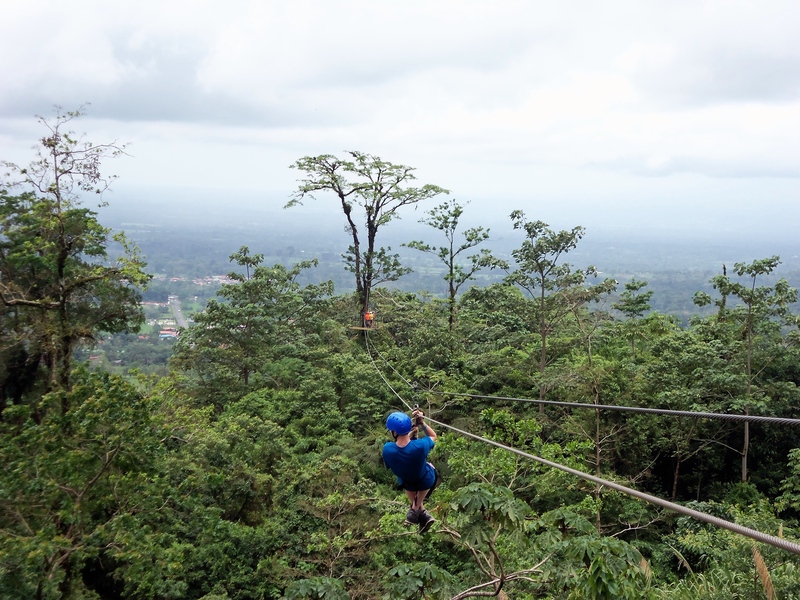 We chose this particular Zip Line tour partially because, duh, the added Tarzan Swing. At no extra cost, we just could not pass up the chance to potentially lose our lunch doing a bungee like drop on a “Tarzan Swing”. However, it proved to be worth the risk of losing stomach contents (which we didn’t) to scream our way to the bottom (which only I did) on the Tarzan Swing– actually, the whole experience was serious fun. The 13+ Zip Line runs (plus Tarzan Swing) were thrilling, beautiful, and felt like a once in a lifetime experience. The guides at each tree stand between runs were fun, the level of safety was exemplary and the instruction for first time & repeat zip liners was just the right amount. What do horses and spa quality volcanic mud have in common? 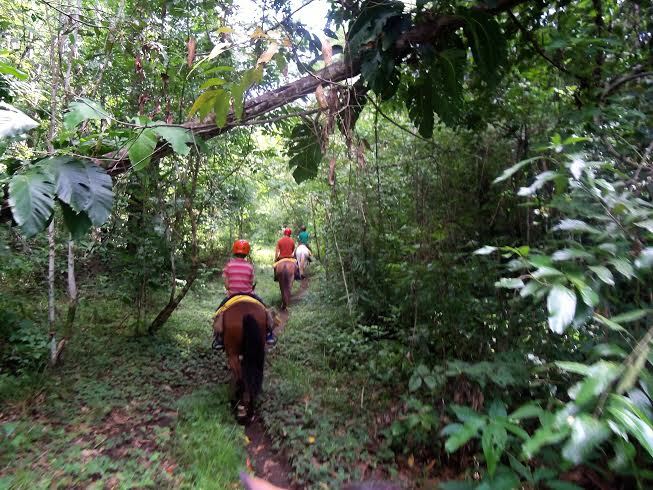 Only the Discovery Horseback Tour company’s Spa Tour in Costa Rica. Owned and operated by English couple, Chris and Andrea, now 12 year residents in Costa Rica, the tour was the best possible choice for our desire to ride horses in Costa Rica. The horses were beautifully kept and cared for, many rescued from abuse situations. 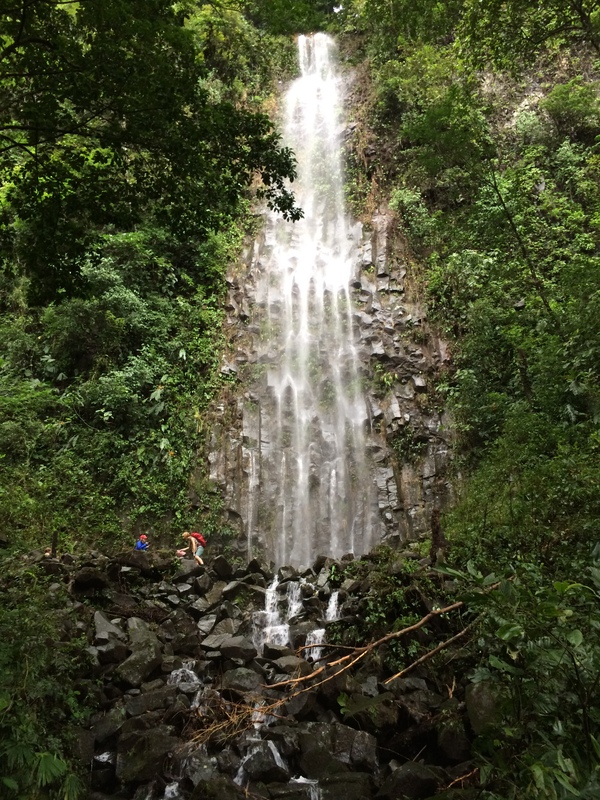 We chose to take the 2 hour ride by a local farm, up into the rainforest and to a small waterfall (remember what I said about the waterfalls…) where we got to slather volcanic mud (a boys dream) all over ourselves before swimming in the waterfall pool. Another perfect experience – Pre-Teen-now-Teen’s favorite. 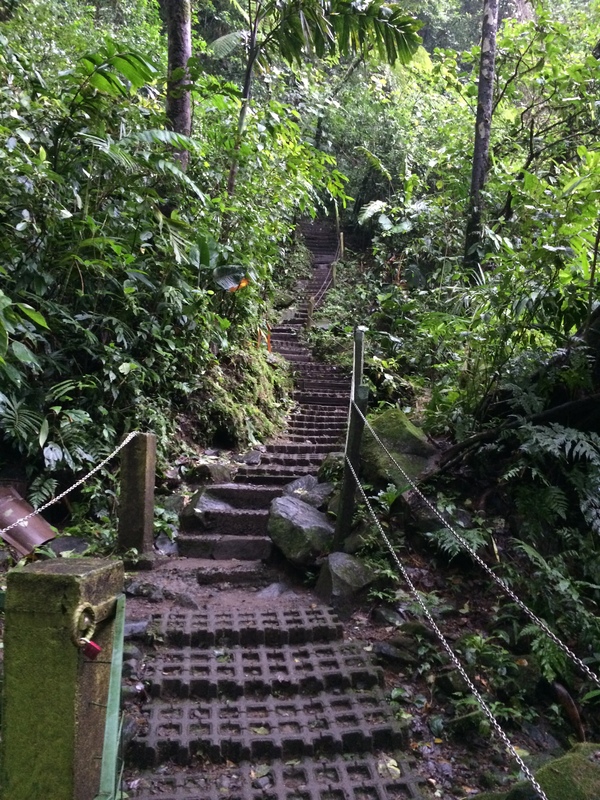 Many of the hikes offer views of waterfalls along the way and they all offer an abundance of insects (don’t mess with the ants, they may carry you off), wildlife (be sure to look up high into the trees to see monkeys – if you are lucky- and exotic birds), and lush green foliage. Some areas offer an aerial tram that can be a good alternative for seeing the rainforest from above if you are not inclined to Zip Line. 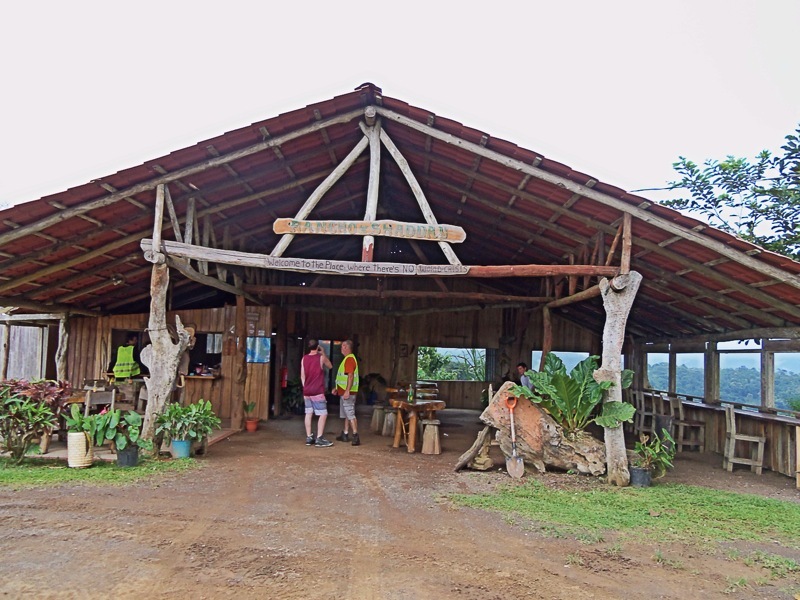 Honestly, when it comes to Eco Tours in Costa Rica, you can’t really go wrong – turn the wrong direction, yep- that could happen, but have a bad tour…not likely! 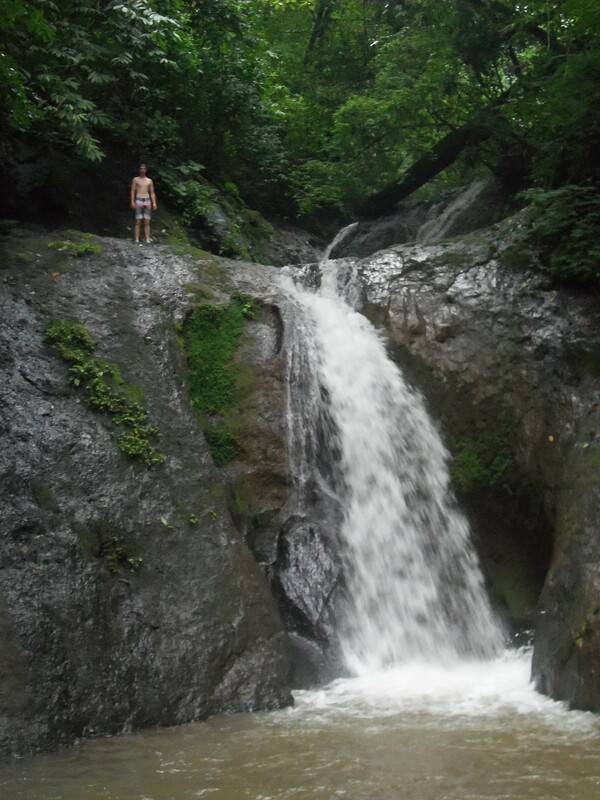 More on Travel in Costa Rica! Gorgeous!! I want your life! I’ve said it before, but I just marvel at the fantastic adventures you and Jim provide for your boys. They are so fortunate!